Getting into law school is not easy. A recent survey conducted by Kaplan Test Prep revealed that, while the number of law school applicants has declined in the past few years, the quality of the applicant pool is increasing, making law school admissions more competitive than ever. Law school admissions decisions are largely based on two criteria: undergraduate grade point average (GPA) and LSAT score. If your application is weak in one of these two areas, you need to find a way to enhance your applicant profile and set yourself apart from other candidates. How can you demonstrate your academic potential without a stellar GPA or LSAT score? Below are a few law school admissions tips to help your application stand out. Your personal statement or application essay is an important component of your law school admissions profile. Law schools seek a concise, well-written statement that conveys a compelling story. Your story should demonstrate your potential to succeed in law school and set you apart from other candidates. Law schools look favorably upon activities that demonstrate qualities necessary to succeed as a lawyer such as leadership ability, motivation, self-discipline, advocacy, writing ability, and other qualities. Mention your participation in student government, the debate team, student newspaper, and other organizations and emphasize any leadership roles you played. Letters of recommendation from college professors, employers or others who can attest to your academic and personal achievements can also enhance your chances of law school admission. Recommendations should be written by individuals who have had an opportunity to carefully evaluate you over a period of time. Law-related work experience may help demonstrate your commitment to a career in the law. Even if your work experience is not law-related, you may have performed functions relevant to the legal field or developed skills and talents that transfer to the field of law. Advanced degrees or coursework that attest to your ability to succeed in a competitive post-graduate program can help predict academic success in law school. Law school admissions committees seek applicants with a commitment to public responsibility and community service. A history of volunteer work or community service evidences your potential to make a contribution to society and the legal profession. Overcoming personal hardship such as physical, cultural, economic, mental or linguistic obstacles or persevering in the face of adversity may also help indicate future success in the legal field or explain past academic difficulties. Special talents and achievements help set you apart from other candidates. A professional distinction such as awards and publications can also enhance your law school admissions profile. Law school admissions committees seek a talented and diverse student body. Membership in a disadvantaged racial, ethnic or economic group is another consideration in determining if you will be selected for admission. According to the Law School Admissions Council, all law schools actively seek students who are members of minority groups and strongly encourage minority applicants. Admissions committees also look for evidence of skills that are necessary to succeed in law school and as a practicing lawyer. These skills include communication, logical reasoning, analytical, problem-solving and time-management skills. 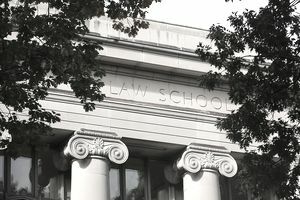 Law school admissions committees also seek personal qualities that predict success in the competitive law school environment and legal practice. Desirable personal qualities include motivation, intellectual curiosity, self-discipline, and industry as well as character traits such as integrity, sound character, and judgment. What Can High School Students Do to Prepare for Law School? What's the Right Age to Go to Law School? Can You Be Too Old? Should You Go to Law School as a Nontraditional Student? What Education and Testing Are Required to Become a Lawyer? Are You Too Old for Law School? Is Failing the Bar Exam the End of Your Legal Career?